The 2nd edition of the Mexico Selection by Concours Mondial de Bruxelles 2018 began today at the Querétaro Congress Center, in Querétaro. Santiago de Querétaro, Mexico. August 9th, 2018. The 2nd edition of the Mexico Selection by Concours Mondial de Bruxelles, “Siguiendo el Camino de la Vid: El Bajío, Querétaro 2018” began today in the City of Querétaro. The wine and spirits competition is organized by the Tourism Board of the State of Querétaro, the Association of Viticulturists of Querétaro (AVQ) and the School of Artisan Wines of Querétaro, in collaboration with the Concours Mondial de Bruxelles. Thirty-seven judges, representing 8 countries, meet at the Queretaro Congress Center to taste and evaluate about 30 wines and 26 spirits each day. The 420 wines and spirits, from 16 producing regions, will compete for Silver, Gold and Grand Gold medals. Additional trophies, “Revelations of the Mexico Selection by Concours Mondial de Bruxelles”, will be awarded to the most innovative drinks that represent the future trends of the industry, within the country, but also globally. “Each year, the Mexico Selection by Concours Mondial de Bruxelles will take place in a different part of the country to encourage the region’s drinks and touristic attractions to gain international visibility,” said Baudouin Havaux, president of the Concours Mondial de Bruxelles. “Without a doubt, the 2nd edition of the Mexico Selection by CMB 2018 will not only attract international attention, but also, as a foreign observer, facilitate awareness of the richness of Mexico’s viticultural heritage”, said Havaux. 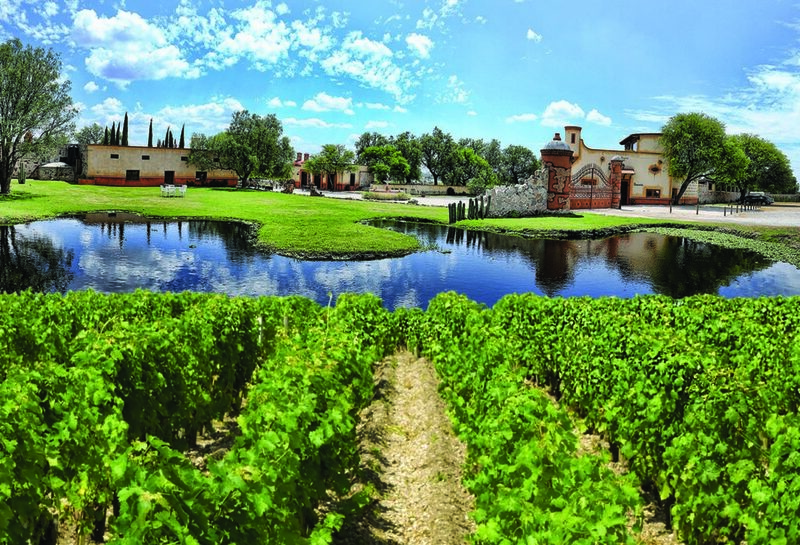 The 420 participating wines and spirits come from the states of Querétaro, Aguascalientes, Guanajuato, Baja California, Zacatecas, Chihuahua, San Luis Potosí, Durango, Puebla, Yucatán, Sonora, Michoacán, Coahuila, Oaxaca, Jalisco and Veracruz. The number of samples registered in this second edition of the contest is the largest representation of Mexican products ever seen in a national and international competition. Most of the samples of the Mexico Selection by CMB 2018 are wines, from varieties such as Nebbiolo, Cabernet Sauvignon, Merlot, Syrah, Tempranillo, Malbec, Sauvignon, Blanc, Chenin Blanc and Chardonnay, as well as other types of grapes with less prominence. The participating spirits correspond to categories such as Tequila, Mezcal, Bacanora, Sotol, Rum and different regional liqueurs. México Selection by CMB is the only itinerant wine and spirits competition in Mexico, and the only one that develops rigorous quality controls in each one of the awarded wines and spirits. The contest “México Selection by Concours Mondial de Bruxelles 2018” is organized by the Concours Mondial de Bruxelles. The international character of its panel of tasters gives the Mexico Selection by Concours Mondial de Bruxelles 2018 the maximum guarantee of professionalism, independence and integrity, as an endorsement of excellence to the results of the competition. To be held from August 9 to 11th 2018, in the Bajío region, particularly in Santiago de Querétaro, Querétaro, the Mexico Selection by Concours Mondial de Bruxelles “Siguiendo el Camino de la Vid: El Bajío, Querétaro 2018” aims to highlight the characteristics of Mexican wines, in Mexico and the world, while promoting a health competition to raise the qualitative levels, and attract international opinion leaders to disseminate, in their respective media and communication channels, information related to the achievements of Mexican viticulture and spirits industry. The jury, recognized according to their experience and international capacity as tasters, will evaluate the samples strictly blind participants, according to the rules established by Concours Mondial de Bruxelles.